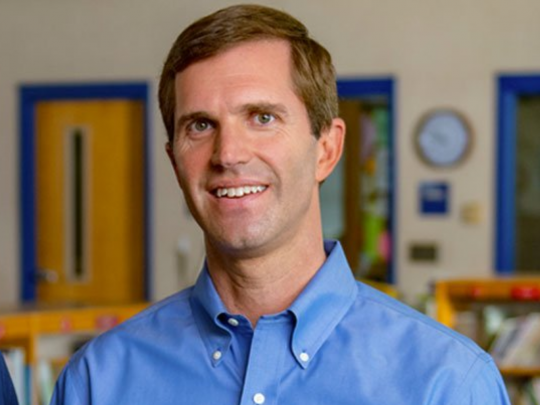 Kentucky attorney general and gubernatorial candidate Andy Beshear got two sexual abuse lawsuits filed against the Boy Scouts of America tossed while working as a lawyer in the firm of Stites & Harbison less than a decade ago. Beshear defended the Boy Scouts from two lawsuits filed by men who claimed to have been sexually molested by their scoutmaster in the 1970s, the Lexington Herald-Leader reports. The men claimed Scout officials knew of the abuse at the time but did not stop it. In court filings, Beshear chided the men for waiting too long to come forward — an "inexcusable delay," he called it — arguing that under Kentucky law, if they were sexually molested as children, they needed to sue anyone they held responsible within five years of their 18th birthdays or else forfeit their claims to compensation. That filing deadline passed in the 1980s, he said. Although the alleged victims protested that they didn’t know about the Scouts’ alleged cover-up until recently, Beshear convinced McCracken Circuit Judge Tim Kaltenbach, who incorporated much of the lawyer’s reasoning into his June 12, 2012, order of dismissal. The suits never would see the public scrutiny of a jury trial. The Boy Scouts have been fighting a myriad of sexual abuse allegations, which have damaged the organization's reputation and strained its finances. The Scouts have regularly sought to get lawsuits dismissed by appealing to the statute of limitations, the Herald-Leader notes. Asked about his prior defense of the Boy Scouts, Beshear insisted he "would have never represented an abuser." "I think the Boy Scouts have done a significant amount over the last 30 years to certainly improve practices and procedures," Beshear said. "But we're talking about a case in the '70s where no one had the best practices and procedures in place. During the 1970s, society unfortunately approached a lot of these things differently." Beshear has made protecting Kentucky's children a key part of his campaign, and last year he proposed legislation to "allow him to convene a statewide grand jury to investigate sexual abuse of children in the Catholic church." He will likely face incumbent Republican governor Matt Bevin in the gubernatorial race. His father, Steve Beshear, served as governor of Kentucky from 2007 to 2015. This entry was posted in Politics and tagged 2020 Election, Kentucky, Steve Beshear. Bookmark the permalink.